On Monday, a pair of scraps were announced for “UFC 172: Jones vs. Teixeira.” Former flyweight top contender Joseph Benavidez (pictured) battles Tim Elliot, while bantamweights Jessamyn Duke and Bethe Correia will also collide in the April 26 event. 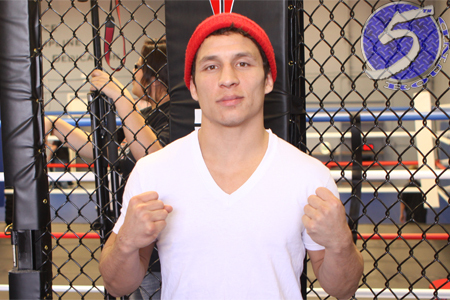 Benavidez looks to bounce back from a knockout loss to 125-pound champion Demetirous Johnson. He had won three straight scraps prior to December’s devastating defeat. Elliiot dropped a decision to Ali Bagautinov the last time he took the cage. He’s won 10 of his past 12 tangos, but only half of his four fights in the big leagues. It will be the battle of the unbeaten between the ladies. Duke is 3-0, while Correia is perfect through seven pro bouts. A light heavyweight title tile between champion Jon Jones and Glvoer Teixeira headlines the pay-per-view broadcast.